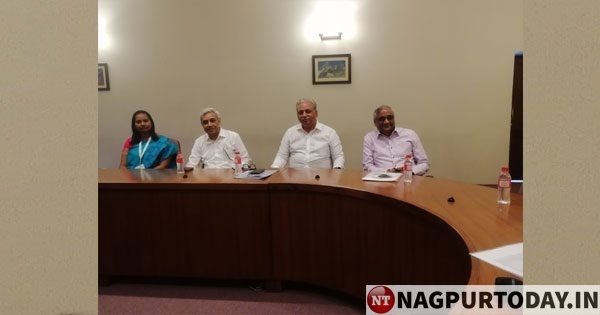 The Indian Institute of Management (IIM) Nagpur is making all efforts to get companies from abroad for campus interviews, said Chairman; Board of Governors, IIM Nagpur; CEO and MD; Tech Mahindra; C P Gurnani. Talking to the media persons after the third Convocation Ceremony of IIM Nagpur on Monday, Gurnani said this year too, the institute had 100 per cent placement in diverse fields. All the 55 graduates have been placed in different sectors like retail, finance, analytics to other sectors, he informed. It is gratifying to see happy students, happy parents and above all the happy faculties, he said. To a question, Gurnani said, some of the foreign companies have already shown their interests for internship and training programmes for the students of IIM, Nagpur. Finally, it all depends upon the individual’s capability and choice, whether he/she likes to work for the company, he said. To another query, Gurnani said, IIM Nagpur would shift to its own campus at the non-SEZ area of Mihan within 18 months. The institute has already got the approval from MADC and other compliances are in place. The construction work would begin with full swing very soon, he said. Director Prof L S Murty, who was also present, said the existing hostel near the VNIT campus is being refurbished at the cost of Rs 40-50 lakh. This would bring additional 30-40 rooms and increase the accommodation capacity. To a query, he said 130 new students have been enrolled for the fresh batch of IIM, Nagpur.